The School Book Browser is designed to hold books and magazines (up to 200mm wide) maintaining a ‘Face-On’ display. 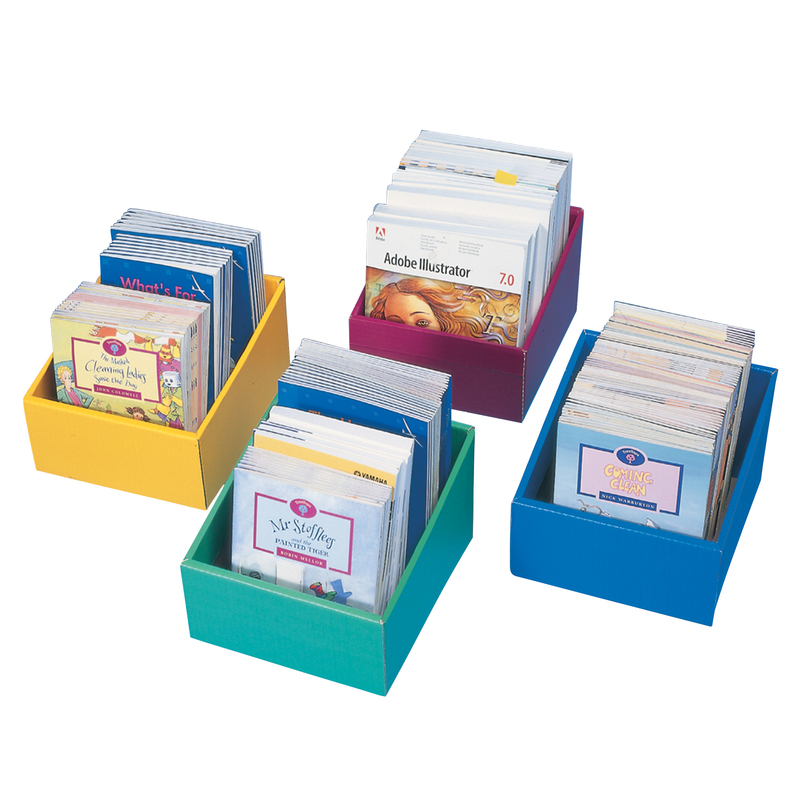 This unique box offers a large storage capacity (220mm deep) that provides a stable base and allows browsing of the titles stored. This browser is available in 4 bright colours making them ideal for children. Simply use to tidy and brighten the classroom or to store reading materials in a colour coded system. Constructed from tough corrugated fibreboard this box is sturdy and robust. The school book browser offers ‘Face-On’ display and the best value for money. The unit is supplied flat packed for efficient storage and is simple to assemble. H150 x W210 x D240mm.